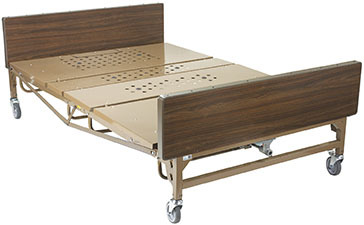 We carry a wide selection of hospital beds as well as a full line of hospital bed accessories like trapeze systems, bed tables, and bed rails that are suitable for a wide range of conditions and home care situations. 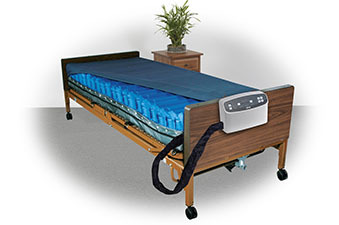 Whether you’re looking for an adjustable home care bed with a therapeutic support surface or a full-electric hospital bed, you’ll find a dependable product fit for your needs. 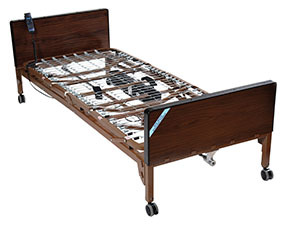 If you have questions about a Hospital Bed or Mattress or simply need help selecting a product please call our customer service. Our specialists will help you to choose right mattress for your needs. For more information call 410-719-1222 or visit our showroom. Active combination therapy system provides both alternating pressure and low air loss to optimize pressure redistribution, shear/friction reduction, and microclimate control. 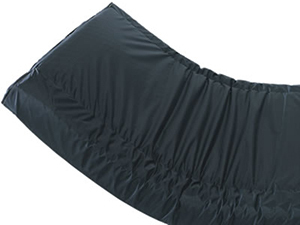 Designed to prevent, treat and heal pressure ulcers in the home or long term care setting. 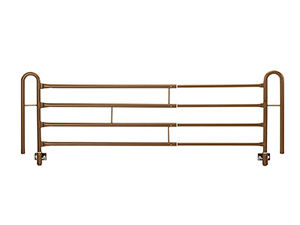 We offer a wide selection of Bed Rails Styles from leading industry manufacturers, such as:. 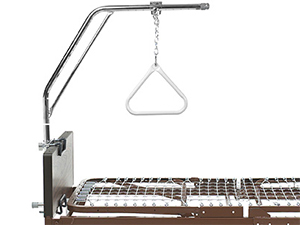 We povide Hydraulic Patient Lifts and Slings. 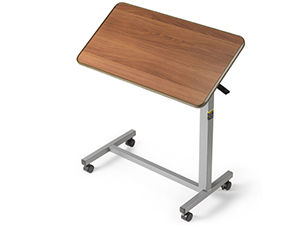 Tilt-top or Non-tilt Overbed Tables.